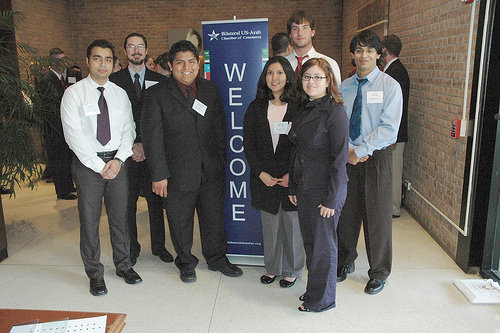 Representing the country of Saudi Arabia were LSC-North Harris students Daniel Ertel-Moore, Angel Flores, Ali Qazi, Eric Romero, Syed Smith, and Diana Ventura. The students distinguished themselves through their mastery of the issues, their diplomatic leadership and their hard work in preparing for and following through with the summit on short notice, says Dr. David Davis, LSC-North Harris sponsor and assistant professor of History. The summit was sponsored by the Bilateral U.S.-Arab Chamber of Commerce. The Bilateral Model Arab League Conference student leadership development program offers participants the opportunity to learn about the politics and history of the Arab world and the arts of diplomacy and public speech. Colleges and high schools from across the United States were invited to participate. The Bilateral US-Arab Chamber of Commerce and the formation of this new conference will be instrumental in developing and expanding this program throughout the State of Texas. Study abroad opportunities for participants of the Model Arab League are available in Yemen and Kuwait, as well as Egypt. For more information about the Bilateral Model Arab League Conference, call Tina Halcomb at 713.880.8168. Lone Star College-North Harris is located at 2700 W.W. Thorne Blvd., one-half mile south of FM 1960 E, between Aldine-Westfield and Hardy Roads. For more information about the college, call 281.618.5400 or visit: NorthHarris.LoneStar.edu.